The Dental Membership is not insurance. The program is only offered to individuals and families not currently insured by a dental health plan. All members must receive their dental care at Moore Family Dental PC. The program benefits are not transferrable to another dental practice or dental specialty practice. Dental discount plans vary so please review this page for the full program and contact our office if you have any questions about the program. It is the member’s responsibility to schedule and keep all appointments offered as part of the dental program. We are always happy to reschedule your appointment. Moore Family dental applies a $50 missed appointment fee or late cancellation fee, when less than 24 hour notice is given. This fee is not covered in the membership program and is the patient’s responsibility. Please be considerate and allow us a chance to help another patient. Membership is for 1 year beginning on the enrollment date. Membership will automatically renew on the anniversary date unless a written, text or email request to cancel is received 30 days prior to the renewal. 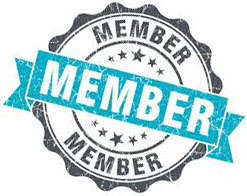 Membership dues are payable each month through automatic deduction and are non-refundable. Payment for additional dental services are the member’s responsibility. Payment is due on the date of service to qualify for the discounts detailed above. Cash, check or credit card payments are accepted.